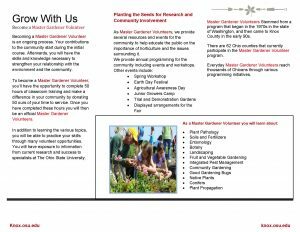 Share your love of gardening while giving back to the community! 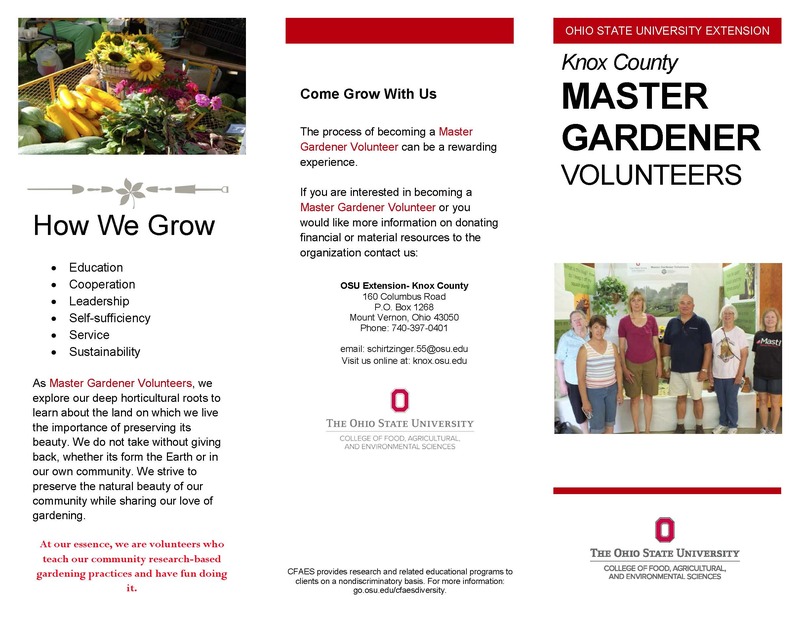 Learn: Master Gardener trainees receive University level training in horticulture from The Ohio State University Extension in the areas of botany, soils, trees, flowers, lawns, fruits and vegetables, entomology, pest management, and diagnostic skills. Trainees complete a minimum of 40 hours of training. Give: After training, new volunteers will work with each other in various activities in Knox County to complete 50 hours of service in the first year. Opportunities include: answering horticultural questions, educating local gardeners on plant selection and care, helping community members within the community gardens and more. There are numerous ways to be involved in the community and you can be a part of it! 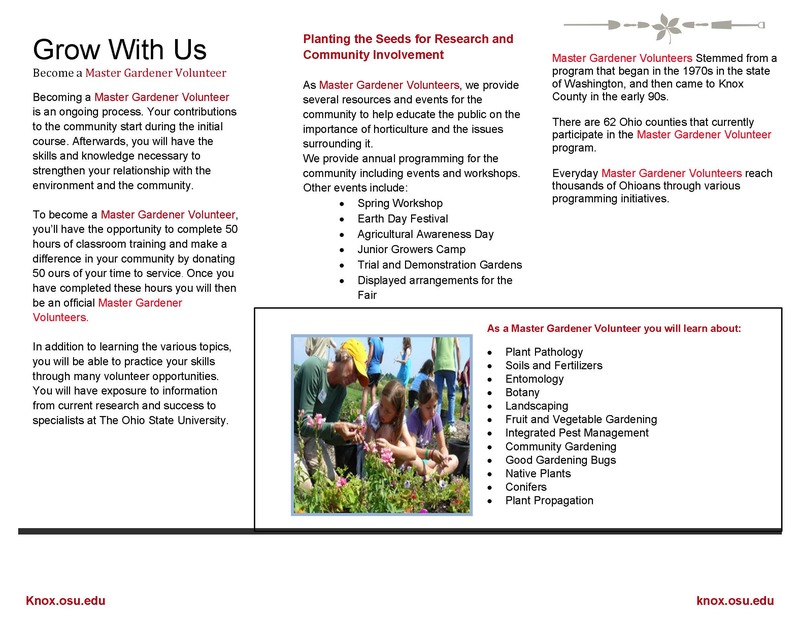 Grow: Master Gardeners enjoy the social aspect of learning together, volunteering together, and helping other in out county. 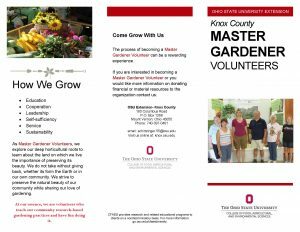 Join: If you are interested in gardening, want to help your community grow, and want to learn more, the Ohio State University Master Gardener is for you! For more information or to obtain an application contact Sabrina Schirtzinger at 740-397-0401 or schirtzinger.55@osu.edu. 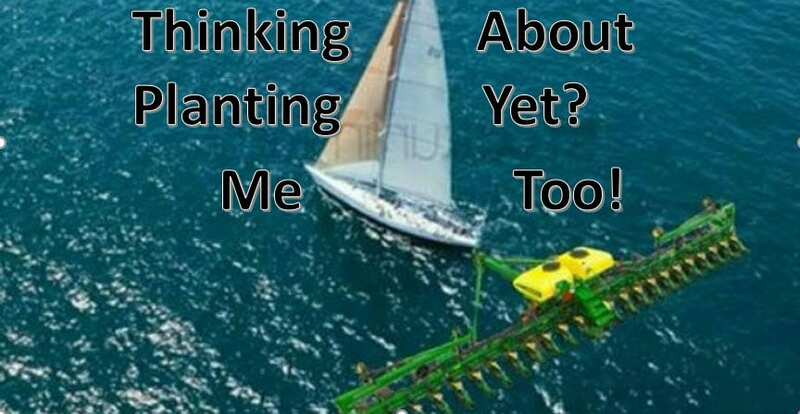 Posted by Sabrina at 9:14am Posted in Fruits, Home Gardening, Horticulture, Lawns, Master Gardener, Vegetables. Bookmark the permalink. ← How Often Should You Cut Alfalfa?